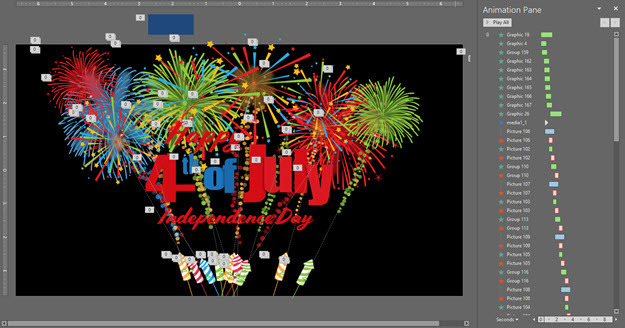 Happy 4th of July from the TLC Creative design team! Christie on our design team developed this fun animated slide to share with everyone. This fun PowerPoint slide has a lot of layers of images, lots of animation, and a fireworks audio track! Enjoy the Fireworks this evening, America! Download the editable PowerPoint slide here. Just more fun, and a great example of using 3D models as part of the slide content created by Wanda on the TLC Creative presentation design team. This mini-presentation combines custom 3D models of the TLC Creative logo, images and PowerPoint text. With motion created with a combination of Morph and on-slide animations. 3D Models should be thought of as “standard” design images for the layouts. As example, this fun presentation is a mix of .png images, a 3D model and animation. The 3D model is not obvious it is 3D until its animation. 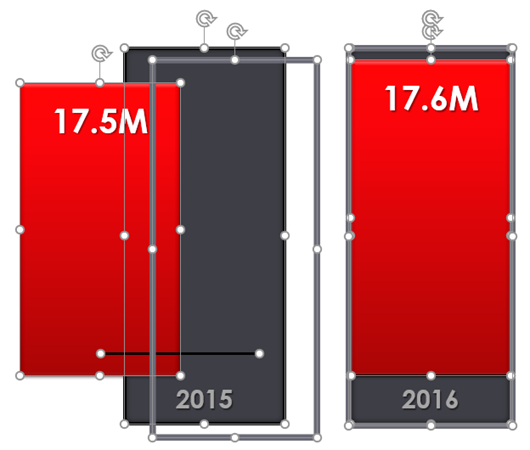 The animation was created in just 5 slides. 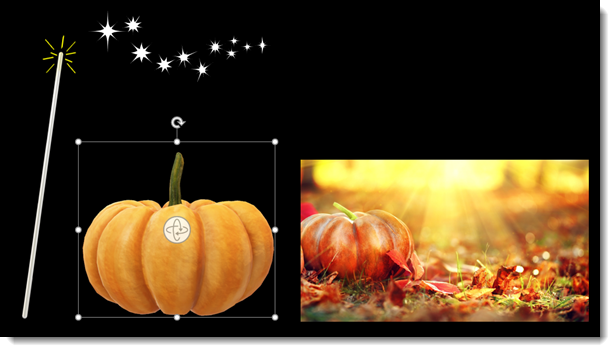 Content was a large background image, a .png image for the fairy wand, a lot of .png sparkle images, and a great 3D model of a pumpkin. Slides 2-3-4-5 use a morph transition + on-slide animation. 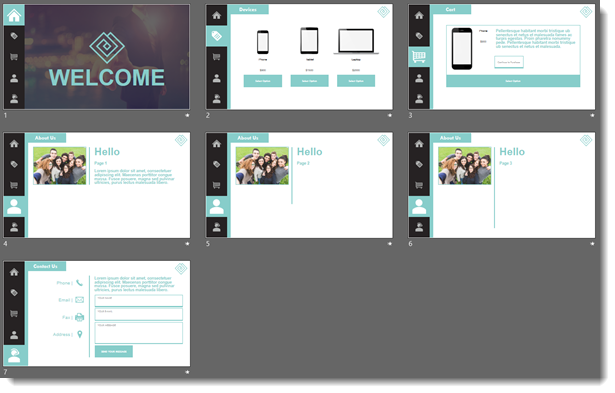 Slide 4, with lots of magic sparkles uses a morph transition and over 350 PowerPoint animations to create the effect!